My next Huffington Post piece is up. This one is on Soft Skills. The original was about twice as long, so eventually I’ll post the rest here. But for now, hope you enjoy. 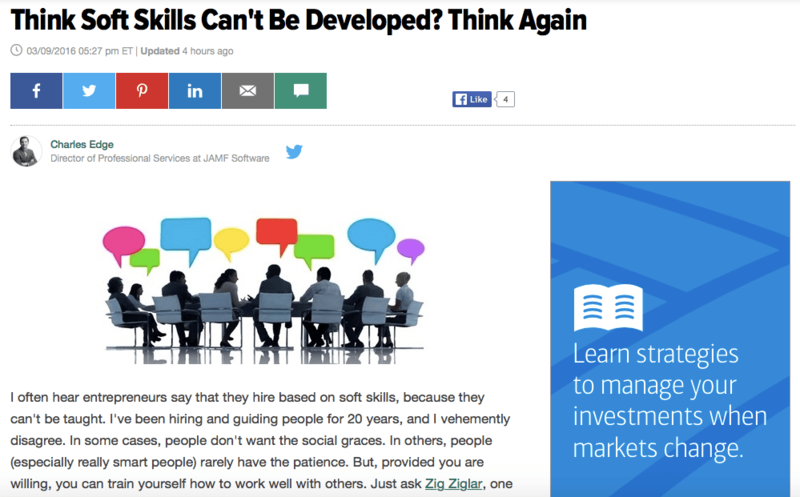 I often hear entrepreneurs say that they hire based on soft skills, because they can’t be taught. 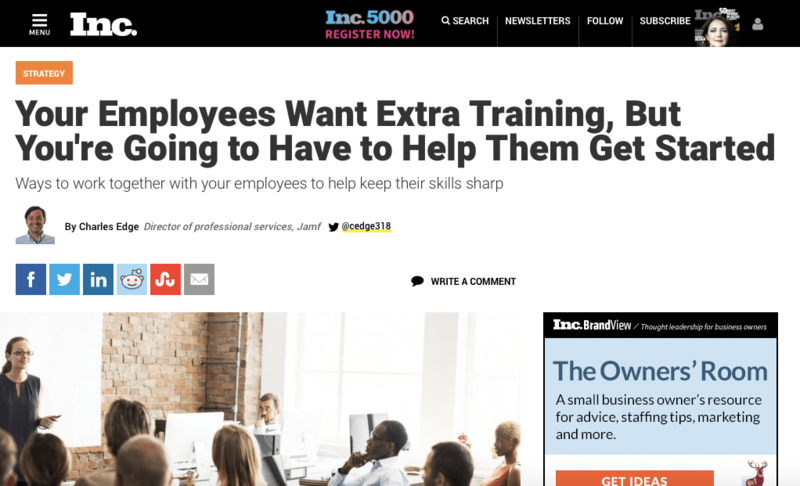 I’ve been hiring and guiding people for 20 years, and I vehemently disagree. In some cases, people don’t want the social graces. In others, people (especially really smart people) rarely have the patience. But, provided you are willing, you can train yourself how to work well with others. Just ask Zig Ziglar, one of the best sales people and a famous motivational speaker. He made a career out of training people how to develop soft skills. Apple has posted the first of the Mountain Lion certifications. 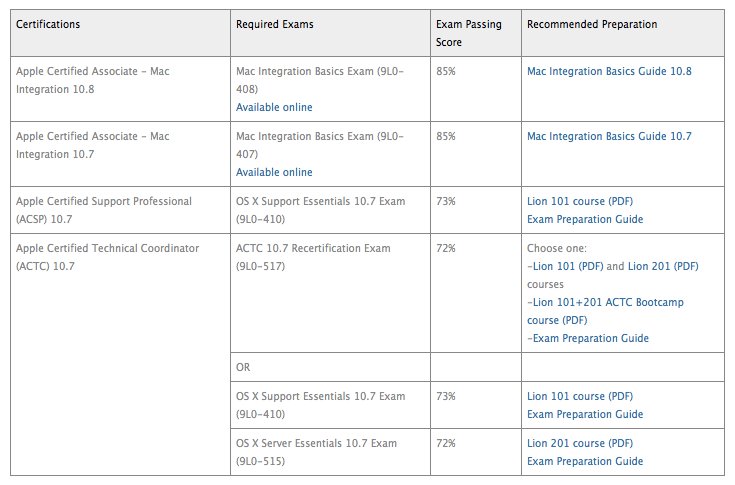 Information about the Apple Certified Associate – Mac Integration 10.8 is available at http://training.apple.com/certification/macosx. This certification requires only one exam, 9L0-408, which can be taken online. There’s no word yet on the ACSP or ACTC for 10.8, although I am certain work on them is in progress. The current table of certifications is as follows: The test is relatively simple. I took it this morning and it focused completely on the client in a heterogenous environment. There were questions about AD binding, sharing files between Windows and OS X Mountain Lion clients, securing the OS (Gatekeeper, FileVault 2), Time Machine, Messages and Boot Camp. Overall, a quick one. I think it took me 35 minutes, including paying for the thing, fishing around for my credit card, etc. Good luck!